Well, my friend, here we go…we’re deep into the holiday season. I don’t know about you, but for me, it can be a very triggering time. I worry about judgments that will come from family members who only see me annually. Then there are the diet-obsessed relatives (who are about 100 pounds smaller than me) making a big deal about abstaining from a slice of pie. Eat the slice of pie! It’s a slice for goodness sakes. 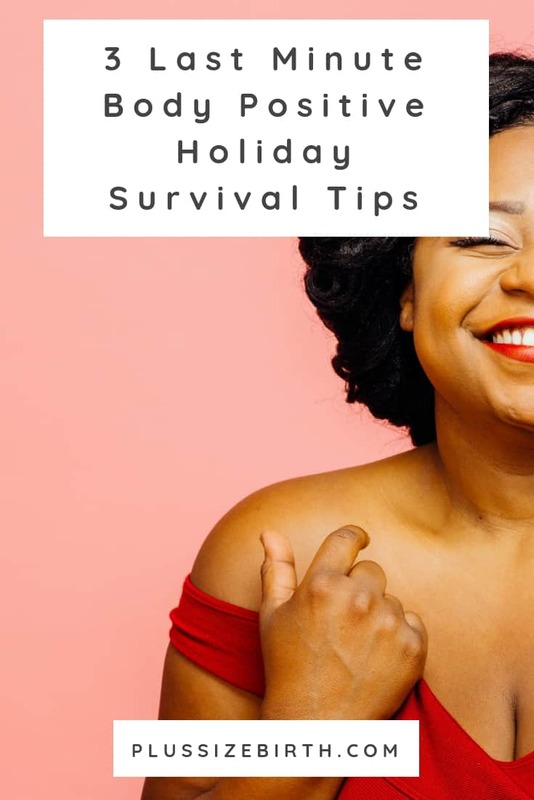 I thought I’d offer up a few body positive holiday survival tips that help me and might also support you. 1. Your body is perfectly imperfect – skip the Spanks. I know it can be tempting to wear shapewear to make your body appear a tad smaller but that’s a cruel form of torture. Be comfortable! Really. 2. Be Prepared! We all know it’s going to happen…someone is going to say something that will set you over the edge. Have a trusted family member who is at your holiday event there for you to vent. Or designate a friend to be there for you on standby via Facebook messenger. Have someone you can talk to so you don’t cause a scene. If your family gets along great and you have no idea why I’m making these suggestions, then I’m coming over to your holiday party! 3. Try not to stress! The holidays should be fun after all, and I know you want to make them special for your kid(s). I’m a big fan of Rescue Remedy as it’s a natural remedy that helps you to relax. Try something like that or essential oils – just some kind of smell or relaxer (like wine but not too much wine) to help you de-stress. Those are just a few of my go-to tips that I hope you’ve found helpful. Try to relax, ditch the shapewear and enjoy your time with family! 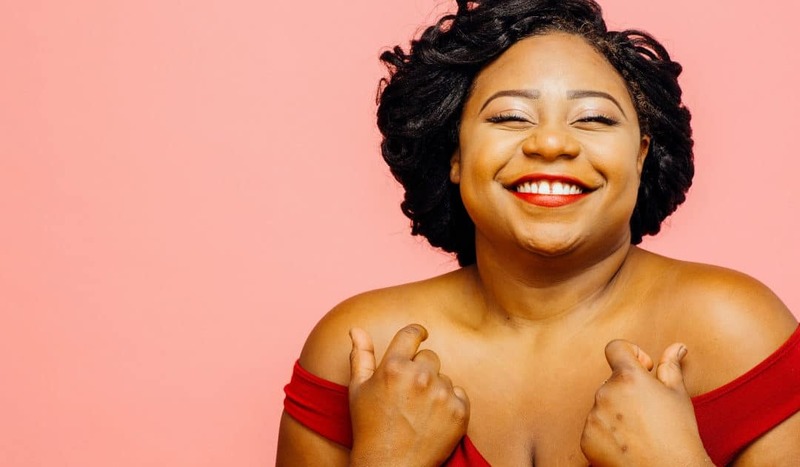 Are these body positive tips helpful? I hope so! Since sharing body positive information is something I’m genuinely passionate about, I’m excited to tell you about The Plus Mommy Podcast! 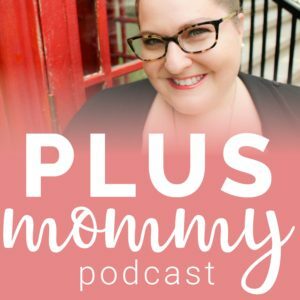 Plus Mommy focuses on body love and motherhood for plus size moms – from bumps to bellies, we talk about it all! Subscribe to the Plus Mommy newsletter to receive our 10 Steps to Body Love.